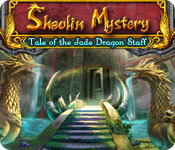 Shaolin Mystery: Tale of the Jade Dragon Staff is rated 4.0 out of 5 by 66. 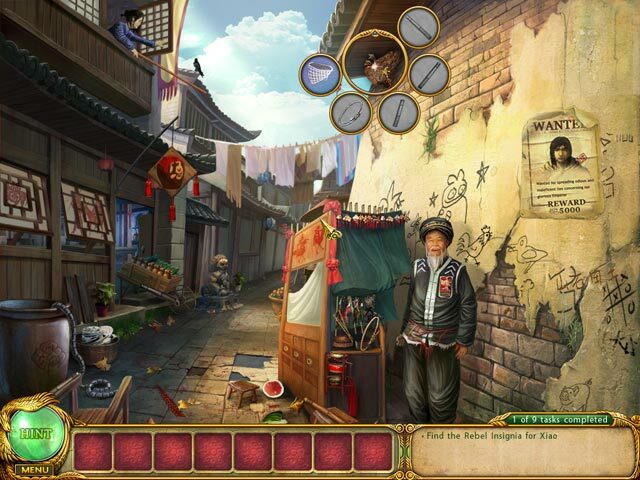 Rated 5 out of 5 by watson13 from A delight to the eyes, ears and mind I have just finished playing Shaolin Mystery Tale of the Jade Dragon Staff. I liked the first Shaolin Mystery game I played and I expected something like this. So such a great relaxing game came as a surprise. It has so many pluses: incomparable graphics, soft soothing tunes and a great story. No vampires, no dead bodies. And I reckon it is the top HOS game as there are oodles of them. It doesn't matter that more often than not the locations are repetitive but as you have to look for different objects you still admire the picture quality and sound track. The search takes you to the city, forests, villages and even underwater. And the game enjoys another big plus: it is long. I spent all the free time I had in the evenings playing it. I really wish there were more games like this on the offer. Rated 5 out of 5 by klfrr from Loved it! Beautiful scenes. 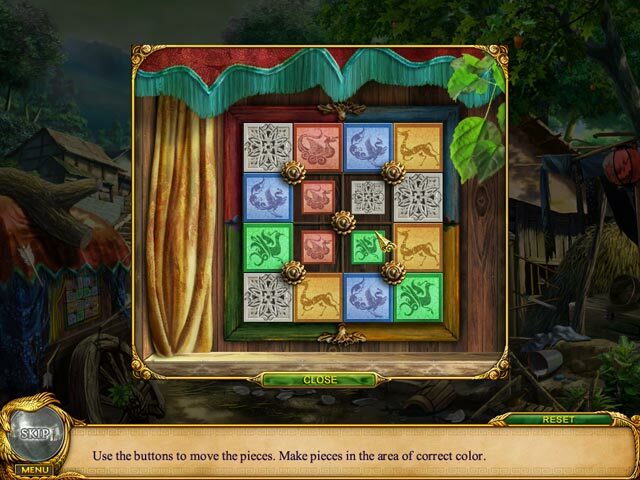 Fun hidden object puzzle adventure. Not scary, so my 8 year old could play with me. Rated 5 out of 5 by desiskorm from I absolutely love the game I must say, I'm a sucker for asian themed games (if I can describe them like that). The game has everything - interesting storyline, it's beautifully drawn, it's not like other games that are all about find the hidden objects until you fall asleep. It's challenging enough without being way too hard and I assume players will love that. Rated 5 out of 5 by lovelyheart615 from This is a great game! I love this peaceful, easy, exotic adventure game and I can't wait to find more like it! Everything ties together. It's really a delight to play! Rated 5 out of 5 by Mrs_Kim from Wonderful!! The fact that this game was made by a Chinese company, made it full of Chinese details and with correct pronounciation of names in Chinese. I feel like I am in a kungfu movie, where we go through ancient Chinese villages and confront the emperor, which is awesome. There is no map, but it's not used if there is little backtracking. The HOG games are bit of piles but they're true to the orient so it was great! The cut scenes voice over is the only one that could be improved. There is this bass sound and the woman who narrates it, talk very fast. However other than this, I found this game flawless. So glad I bought this one! Rated 5 out of 5 by FishyFemale from Soothing, relaxing gameplay! I love everything about this game and was immediately sold early into the trial period. Interesting storyline, cute animations, interactive characters, gorgeous artwork and that distinctive oriental music makes it the perfect game for me. 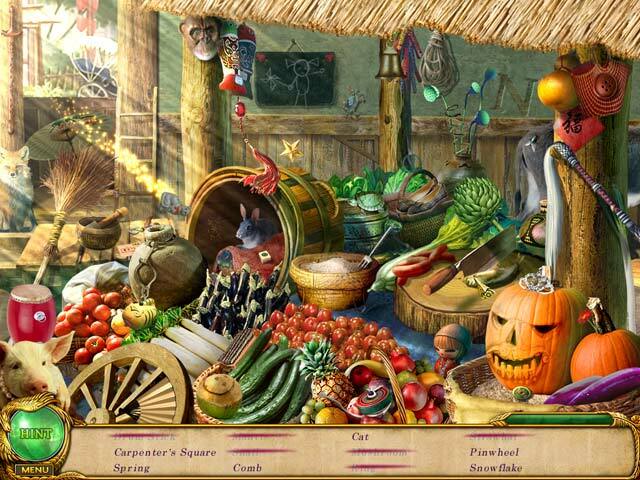 The fragmented objects combined with traditional hidden object scenes combined with innovative puzzles and minigames complete what I consider to be one of the most entertaining games I've ever played. I usually prefer the dark, creepy adventure games but this has everything I look for in a great game except that it's bright and beautiful. Very well done, devs! Rated 5 out of 5 by Starthorne from Awesome Hidden Object Game! This was a terrifically challenging game. The story line itself compelled me to keep going. I love the interactions with items that you need. Many things I needed I actually stumbled across by sheer accident, which made it that much more fun! If you like adventure, I highly recommend this game. Now to try the second one! Rated 5 out of 5 by pchylton from I LOVE THIS GAME Played this on my sister's computer while visiting at her house. Now I just have to download it on my home computer. There's great movement between scenes in this game, but not so much it becomes burdensome. I love the graphics and story line.